See a collection of farmhouse pantry ideas to give farmhouse charm to any home. I was noticing the other day that there are some great ideas across the web for adding farmhouse style to an ordinary pantry. 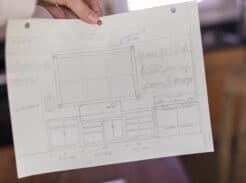 From shiplap, to barn doors, and open shelving with printable labels, it is very possible to add character, even if you live in a plain Jane cookie cutter house. 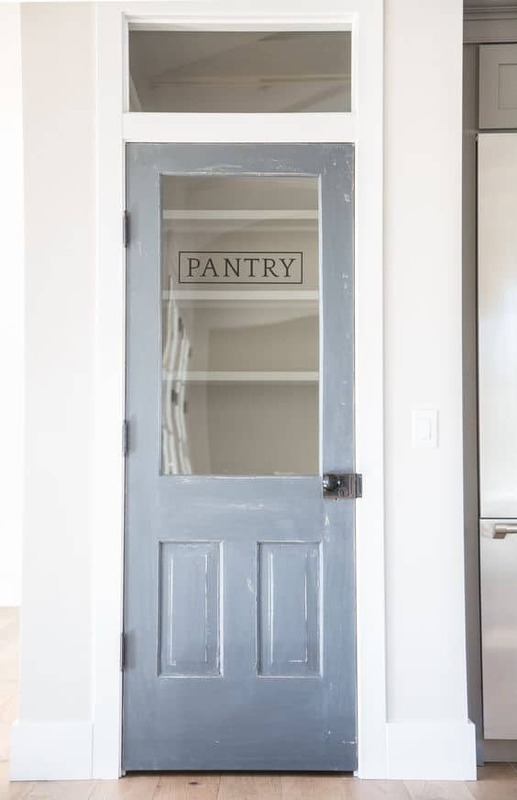 This realization called for a roundup post of some seriously awesome ideas to give a regular old pantry farmhouse style. 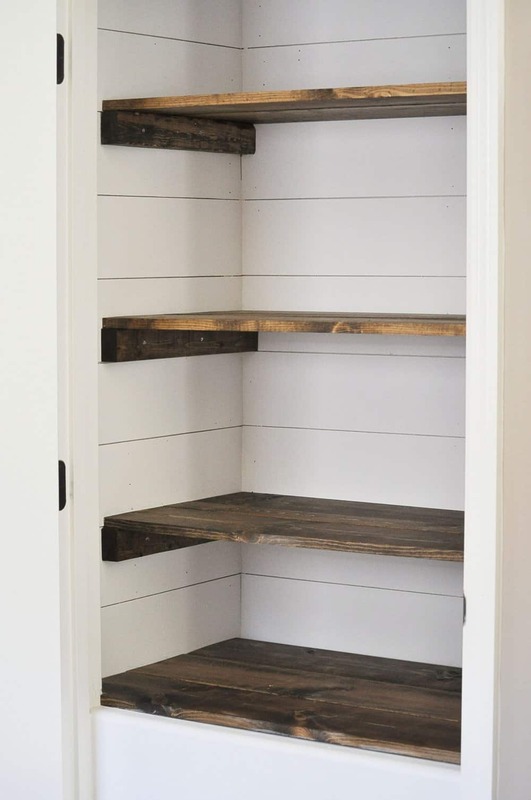 My friend Ashley from Little Glass Jar took an ordinary pantry, added shiplap, and rustic wooden shelves, to transform it from boring to amazing. Head on over to Little Glass Jar to see the before picture and the process she used to complete the project. She includes a full tutorial with measurements and instructions. This stunning photo was taken by Sarah from Flat Creek Farmhouse. When you see this photo, it is hard to believe that this kitchen is right in the middle of a doublewide trailer. 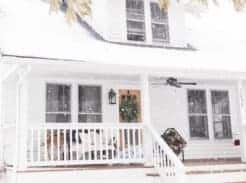 Proof that you don’t need a big fancy home on 40 acres to have a lovely farmhouse! To create this transformation, Sarah added a sliding barn door, to give her already amazing shiplapped pantry, added character. 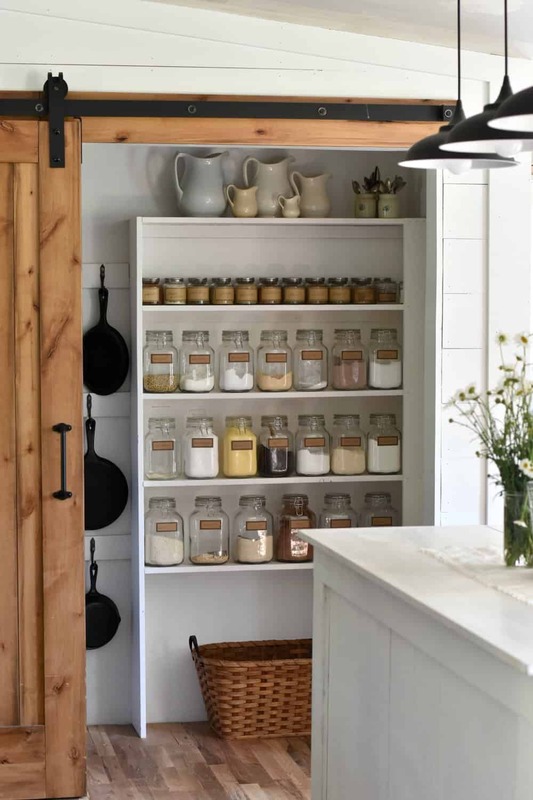 The glass jars, hand written labels, hanging cast iron skillets, mini crocks, ironstone pitchers, and large wicker basket, all work together to give an ordinary space vintage character and farmhouse style. 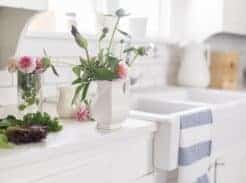 She includes a video with the steps she used for the transformation, so you could create something similar in your own home. Lauren from Gather and Flourish created these free downloadable pantry labels that you could use to label pantry staples in glass jars. Rafter House creates this farmhouse style pantry door, that could work beautifully if your space doesn’t accommodate for a sliding barn door set up. Picture this amazing piece in an otherwise boring kitchen. With some chalk or milk paint, this door would certainly add instant character! 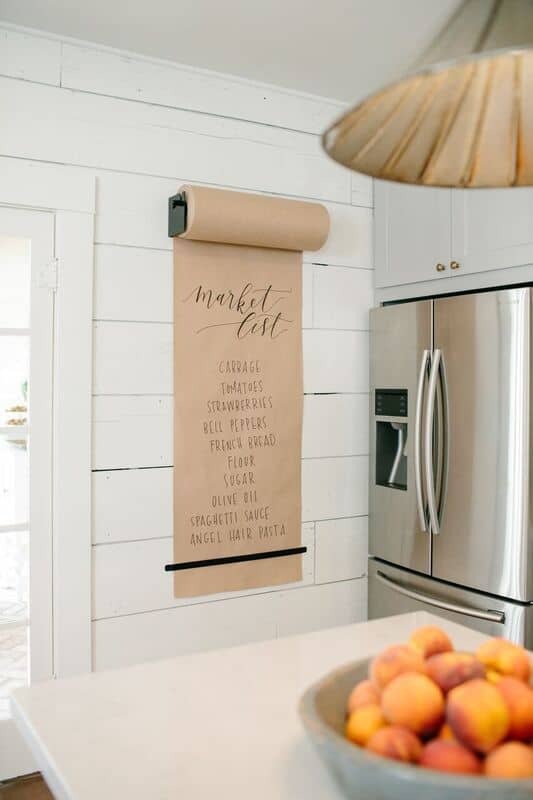 Magnolia Market shared this simple idea for a butcher paper shopping list, in a Fixer Upper episode. Not only does repurposing an ordinary item, like butcher paper, add farmhouse style, but it is also so practical. 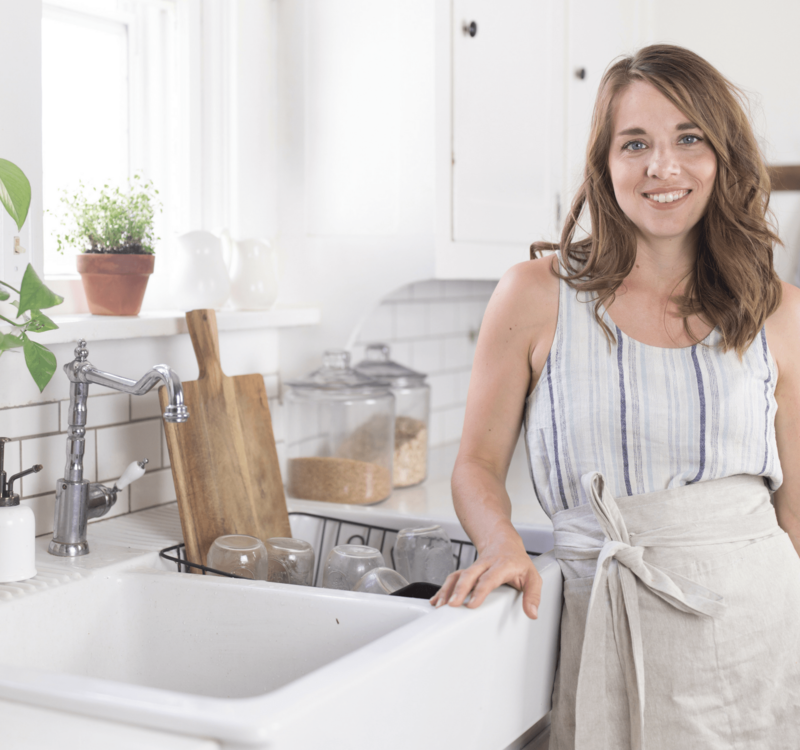 You can just rip off the list when you’re ready to go to the store, and start anew! This basket would look great on the floor, to store potatoes, onions or other dried goods. 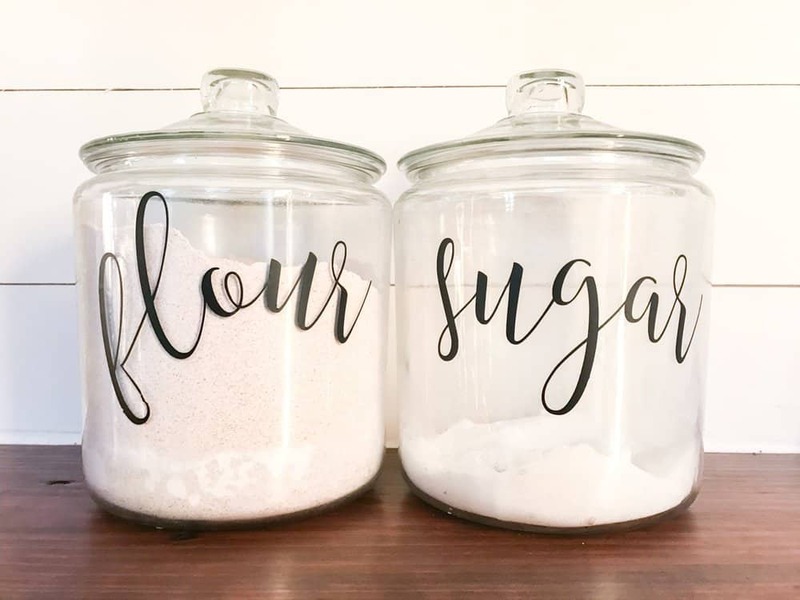 I came across it on Amazon, and thought it would be a great little addition to give any pantry some farmhouse style. What I love most about the ideas in this post, and farmhouse style in general, is that they are both beautiful and useful! Keeping dried beans, flour, cocoa powder, spices, etc. in glass jars with labels makes them easily accessible and organized. 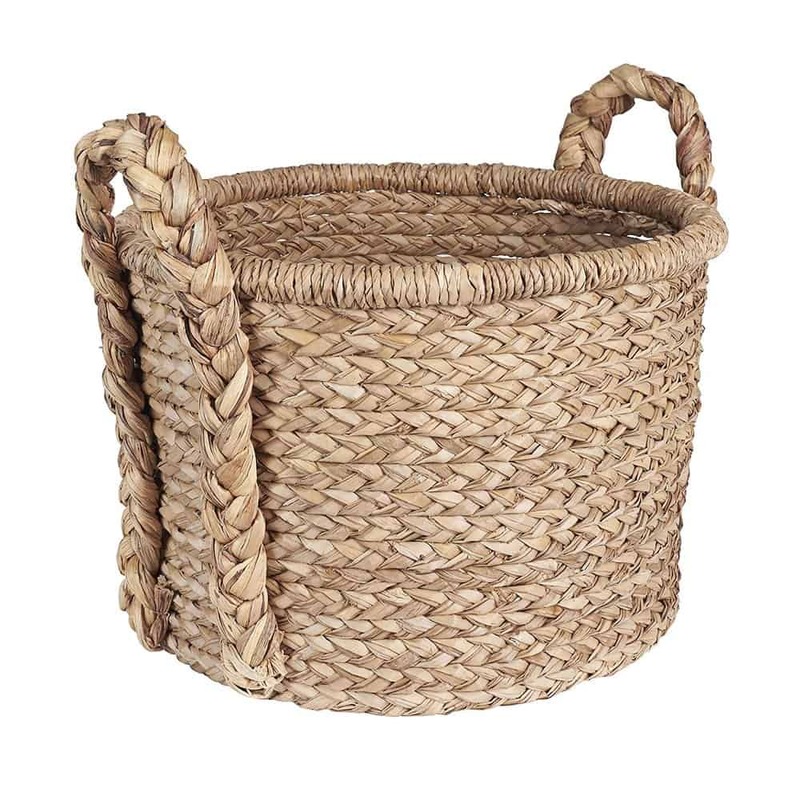 Open wicker baskets for storage, accessible shopping lists, hanging pots and durable shelving all serve two essential purposes for home decor, beauty and function. Now, go forth and add a little farmhouse style to your pantry!